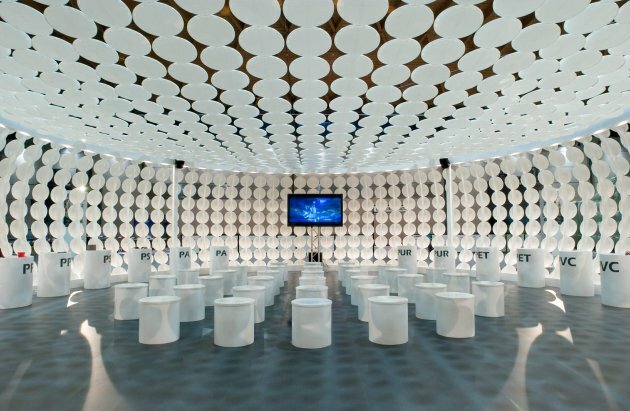 Italian designer Riccardo Giovanetti has sent us photos of his Plasticamente Pavilion, which has been designed to host the premiere of the new Walt Disney movie Trilli. Visit Riccardo Giovanetti’s website – here. 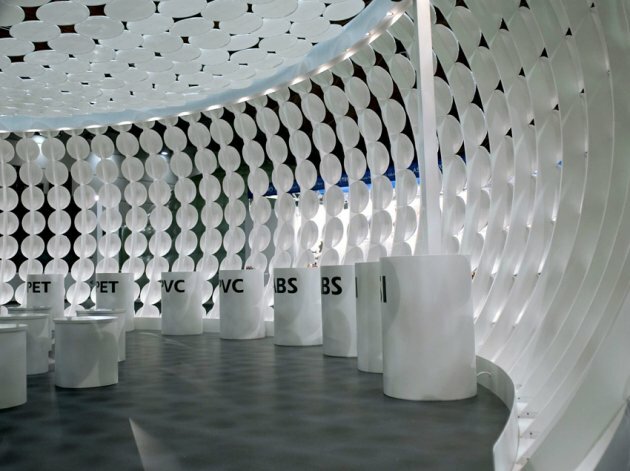 The design of the Pavilion was an exercise in balance that comprises the transparency of the architecture, the visibility of the exhibition from far away and the sense of intimacy required for this kind of interior. 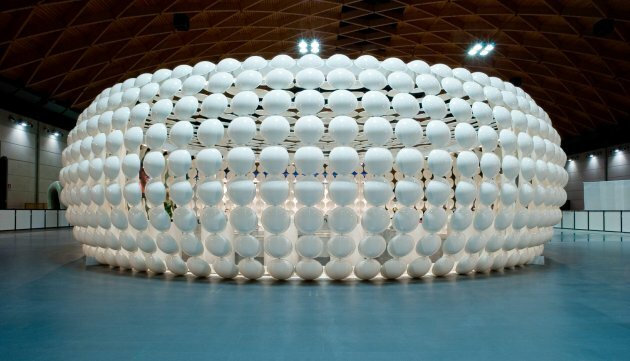 The proposal of 130 square meters, comprising a large concave roof made with white plastic discs, is reminiscent of molecular structures of polymers. 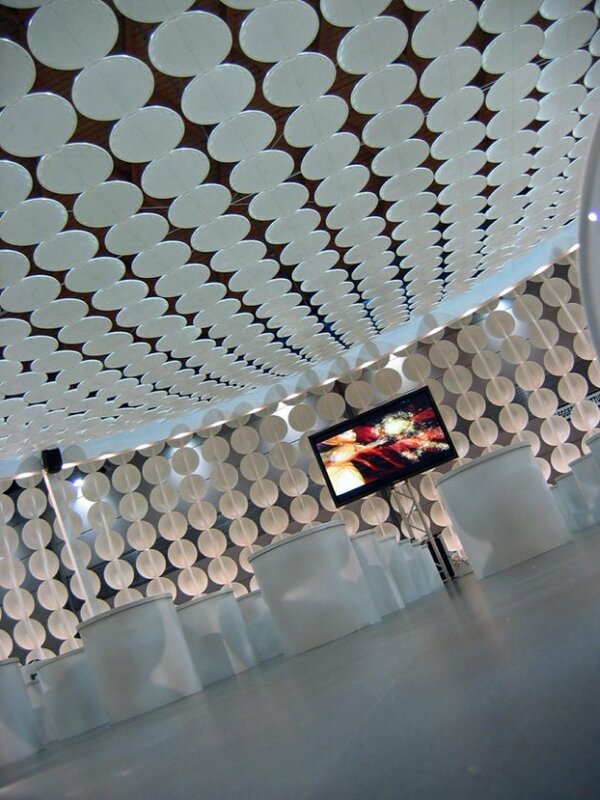 The exterior is enveloped in a skin made up of hundreds of white plastic discs, creating a fine molecular structure. This shining surface remains constant across the whole pavilion, reinforcing the unity of the structure and giving it the quality of a vast and sensuous architecture. 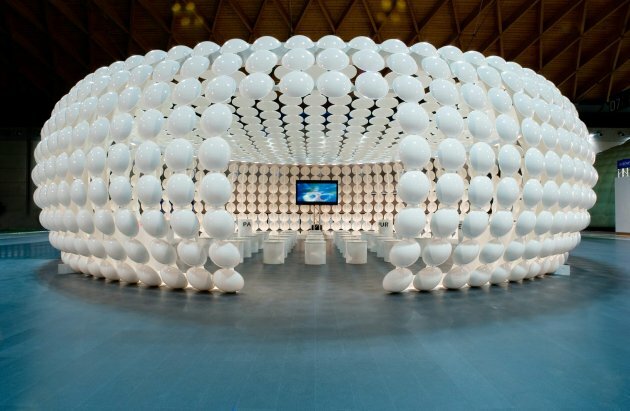 Although this is a large pavilion it gives an impression of weightlessness, and can appear almost animate and breathing. In sunlight it shimmers, reflecting minute changes in weather conditions and taking on the colours, light and shapes of people and things passing by. Reflective materials allow the exterior skin to be illuminated with varying colours which can be tailored to the differing programmes of special events in each place. 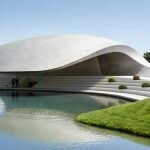 The dichotomy between the powerful sculptural mass of the Pavilion’s structure and the lightness of its envelope create a bold and enigmatic element. 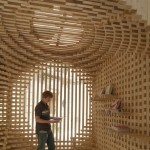 The Pavilion’s exterior develops into a rich variety of interior point of views that maximize the potential to reuse and rethink space due to the innate flexibility of its plan. The interior space is designed as a covered precinct for visitors to rest in and live the film experience. 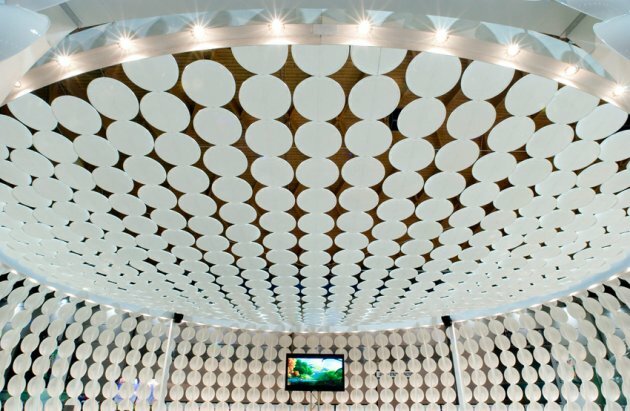 Its architectural expression is generated from the repetition of structural mono chromed elements, which creates the feeling of a modern wonder room. 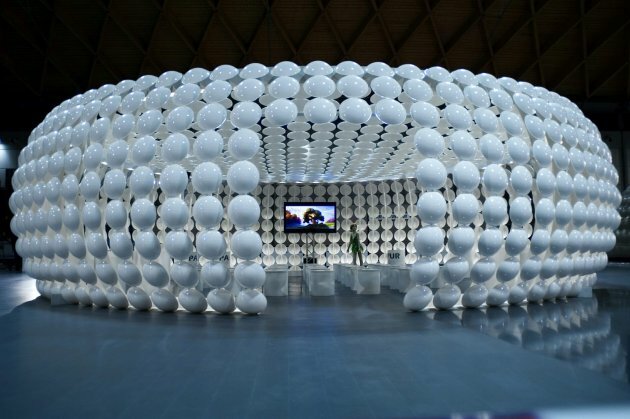 The Pavilion has been erected for the first time during the recent Italian fair Ecomondo (Rimini Fair, 5-8 November 2008). 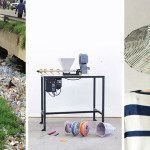 It was commissioned by IPPR, the Italian Institute of Plastic Recycled as a touring exhibition traveling across different cities during next months.